Acute Disseminated Encephalomyelitis (ADEM) or acute demyelinating encephalomyelitis is thought to be an autoimmune disorder in which the body’s immune system attacks its own brain tissue. It damages the myelin – the protective covering of nerve fibers - of the brain and the spinal cord and sometimes the optic nerve. ADEM is more common in children than it is in adults. More than 80 percent of childhood cases occur in patients younger than 10 years old. Most of the remaining cases occur between the ages of 10 and 20. In more than 50% percent of ADEM cases, the inflammatory attack is preceded by a viral or bacterial infection. Most cases begin about 7 to 14 days after an infection or following a vaccination. In some cases of ADEM, no preceding event is identified. Symptoms of ADEM include fever, headache, confusion, altered level of consciousness ranging from lethargy to coma, acute cognitive dysfunction, behavioral changes, vomiting and seizures in about a third of those diagnosed. Neurologic signs of ADEM include decreased voluntary movement, muscle weakness on one side of the body, decreased muscle coordination and damage of cranial nerves. The diagnosis of ADEM is considered when there is an infection and the development of more than one neurological symptom, accompanied by headache, fever, and an altered mental state. Magnetic resonance imaging (MRI) is an important part of the diagnosis. 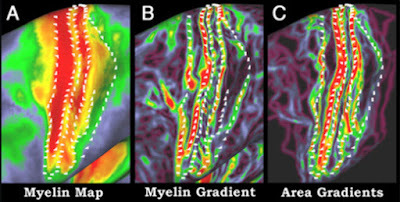 In ADEM, there are usually widespread, multiple changes in the white matter of the brain which contains the nerve fibers. Over months these brain changes gradually improve and even completely disappear. A lumbar puncture may be needed in patients with ADEM to rule out direct infections or other processes that look similar to ADEM such as Multiple Sclerosis. The spinal fluid often shows an increase in white cells, usually lymphocytes. These cells are an active part of the immune system.